The choice of a shopping cart depends on many factors – the type and the size of your business, the time you can dedicate to it, the money you are ready to spend on ecommerce software, your location, your technical and programming skills and your personal preferences. You may pick out a definite e-commerce platform because of some of its features or you may simply like its design. If, for some reason or other, you are not satisfied with CS-Cart and you would like to migrate to PrestaShop, you can do it effortlessly, quickly and painlessly with Cart2Cart, an automated shopping cart migration service. PrestaShop is a flexible, feature-rich and user-friendly e-commerce solution. Currently it powers more than 100,000 online stores. PrestaShop is free – a significant advantage over CS-Cart. Also it’s open-source, which means you can make your own modifications to its source code. If you have made the firm decision to migrate from CS-Cart to PrestaShop, Cart2Cart service will help you do it without difficulty. 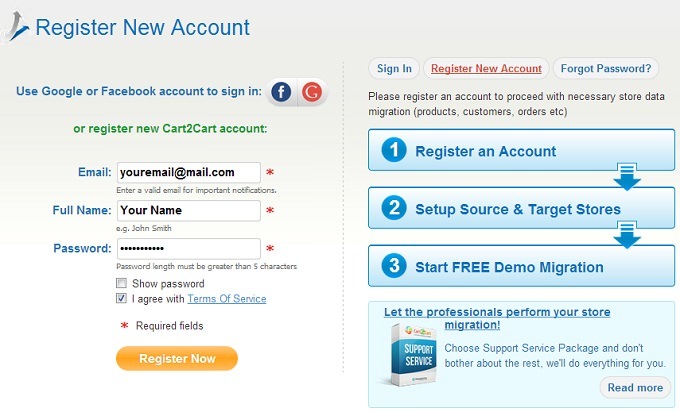 You will need to register an account or sign in from your existing Facebook or Google profile. At the moment you start the migration, both your stores must be accessible online. 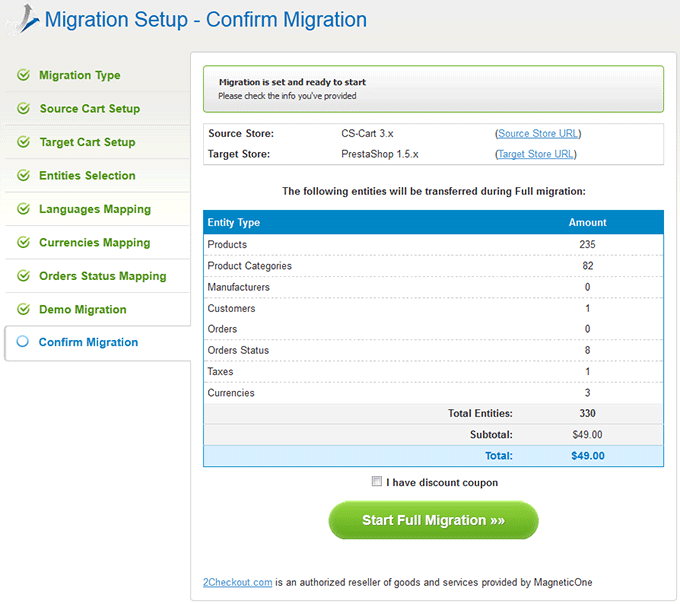 Calculate how much your migration will cost with Migration Estimator. You don’t need much technical knowledge to perform the migration. Just follow the instructions and provide information. 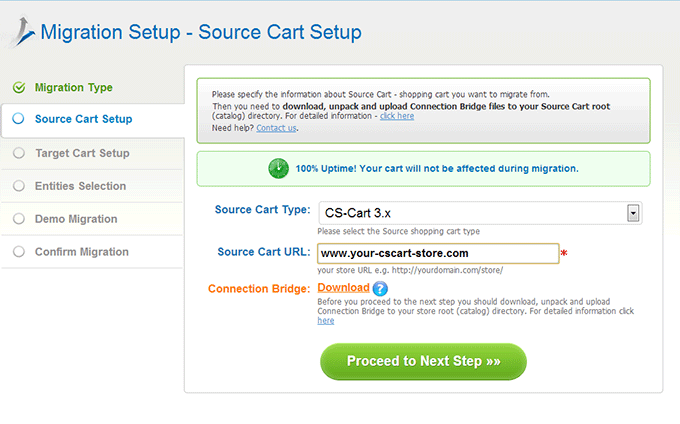 Select the version of your CS-Cart and enter your CS-Cart store URL. Then download Connection Bridge. You will need to upload it to your CS-Cart store root directory. If you don’t know how to do it, follow the link. 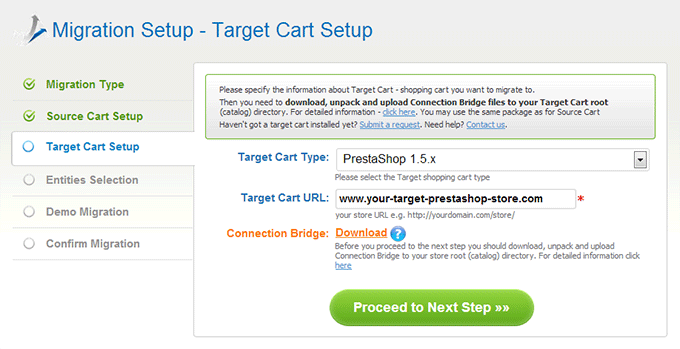 Select the version of your PrestaShop cart, enter the URL of your PrestaShop store and download a Connection Bridge. Select the entities you want to transfer from CS-Cart to PrestaShop. 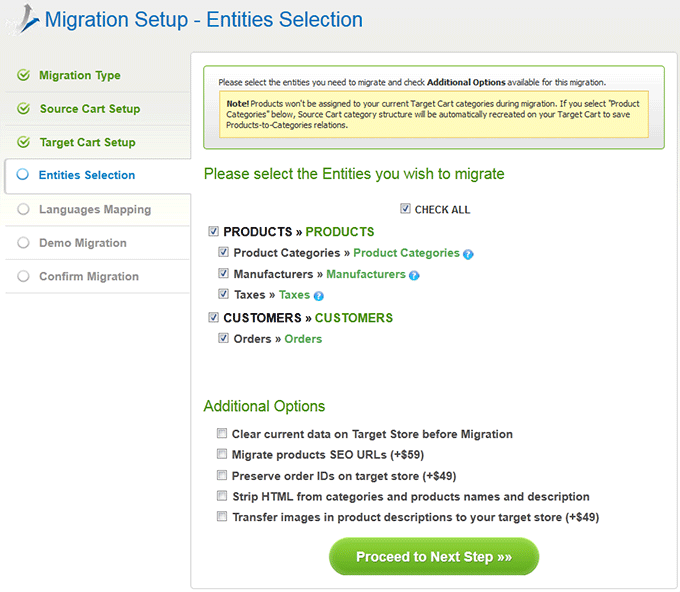 Select the additional options, which you want to be applied to your migration. 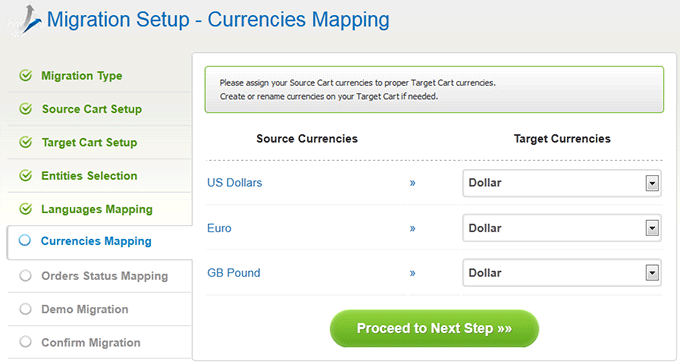 Match the currencies on your CS-Cart shop to the currencies on your PrestaShop store. You can change them or leave them the same. Assign the order statuses on your CS-Cart store to the order statuses on your PrestaShop store. 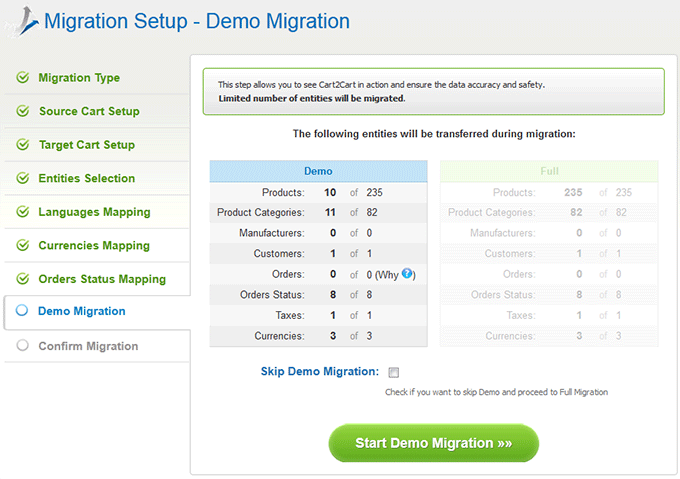 Demo Migration is intended to show you how Cart2Cart works. A part of your information will be transferred for free to assure you of the service’s accuracy and safety. Demo Migration can be skipped, though it is strongly recommended to perform it. Do not close your browser window while your data is being transferred. When Demo Migration is finished, check its results on the admin panel of your PrestaShop store. Now you are ready to start your migration. If you are sure you have provided the right information, click Start Full Migration. If you have a discount coupon, don’t forget to check the appropriate box. While Full Migration is in progress, you can close your browser. 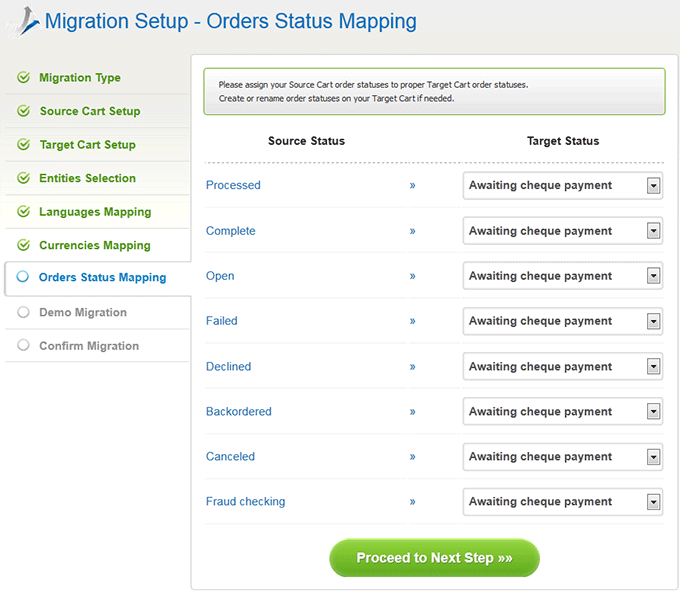 When the migration is completed, you will be able to see its details and check the results on your PrestaShop store.